Developing the pincer grasp is a huge a breakthrough in the psychomotor abilities of your baby. From raking objects with the whole hand to being able to do it with two fingers opens your little one to endless possibilities that allow him to learn, grow, become more independent, and continue to explore. If it were not for the development of fine motor skills, one could not play the piano, guitar, write, or type a text message. It’s amazing what our body can do and watching our babies develop these skills is wonderful! How I can stimulate the pincer grasp in my baby? Let him self-feed on soft pieces of food such as bits of banana, steamed potato, or small baby cereal puffs. This way your baby works his motor skills without the risk of taking inedible objects to his mouth. Just remember that when your baby eats it is crucial to supervise him to avoid any choking. Let your child make a mess, this helps stimulate the dexterity of his fingers as he will be moving his hands freely. Place books in front of him. Your little one will not be able to turn the pages one by one, but even if he turns 5 pages at a time this will help him develop his fine motor skills. Let your little one break or poke pieces of soft paper, just be sure to supervise that he does not put the pieces in his mouth. Place blocks in front of your little one and try to build a small tower with your baby. Place a box with small objects and help your baby store and remove them. There are a lot of things you can do to develop the pincer grasp and the dexterity of fingers. 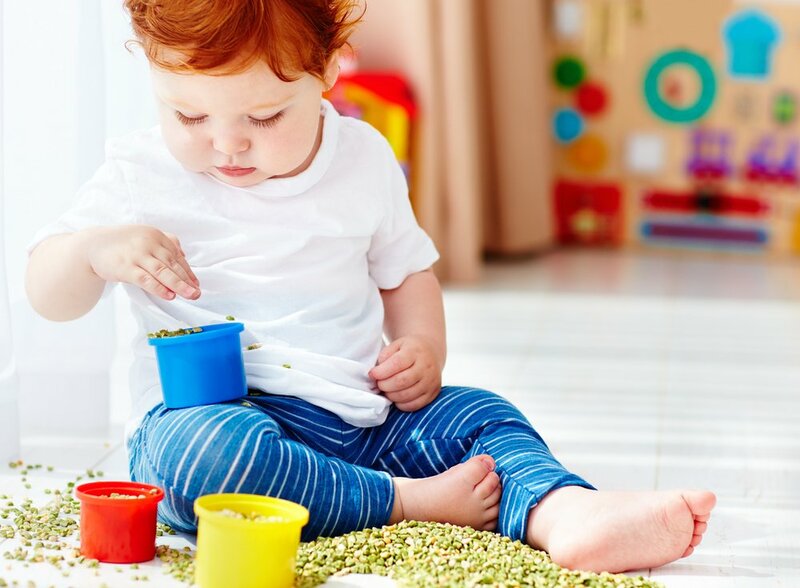 Be sure to check out our activity catalog and remember that over the course of the following months you will be surprised to see your little one develop his fine motor skills.